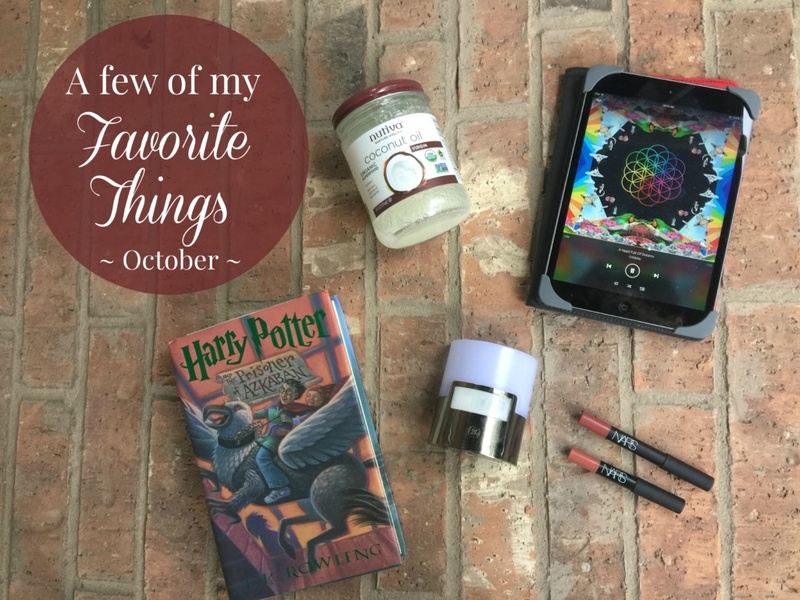 These are a few of my favorite things that are currently making my life run smoother…..or just plain make me happy so I want to share them with all of you. At the end of the summer, I shared with you a few things that I was currently obsessed with and had such fun response that I decided to try to do a quick article like that every month. But then September came and went in the blink of an eye and all of a sudden it was October. Seriously? October? Didn’t school just start????? So here my friends, from me to you, a few things that have made me smile this past month, that I hope can make you smile too. I rarely believe the hype of “cure-all” articles toting benefits of a “miracle product” and when the new fad was coconut oil, I ignored it. But recently, I have been looking for alternative oils to cook with and thought I would give coconut oil a try. Truthfully, I love peanut butter toast as a mid-morning snack and have kinda gotten tired of it. I love the taste of coconut and thought I would give it a try. And guess what? I LOVED it. It has now become my go-to spread for toast. I have tried it in veggie stir-frys (gives it a sweet taste) and in my coffee as a sweeter (makes it oily) so I think I will probably stick to it as a spread, but there are tons of different uses out on the internets right now. Like I said, I tend to not believe the hype without medical proof behind it. So for now, I like the way it tastes and it’s a healthier fat over plain butter, so it’s good in my book. So yeah, Harry Potter is nothing new – certainly not something to shout from the rooftops about – it’s a great book series, don’t get me wrong. But it’s what the series is giving me right now is why it’s one of my favorite things. Last June, I forced my youngest son to read Harry Potter & the Sorcerer’s Stone with me. He didn’t want to – just wasn’t interested. I made a deal with him – 3 chapters and if he didn’t like it, we wouldn’t read it. Y’all he was hooked after one chapter. Six months later and we have just started book 3 – Harry Potter and the Prisoner of Azkaban and ALL THREE of my children gather around each night to hear me read out loud. We have all started looking forward to the nights we get to read Harry Potter and they beg me for “one more chapter” each night. Seriously – my 15 & 14 year old look forward to it as much as my 7 year old. So it may not be the Harry Potter series, but find the time to read to your children before they get to be too big – precious moments here folks. P.S. All the Harry Potter books are FREE on the kindle with Amazon Prime. So the last thing I would have expected to put on a list of my favorite things, but honestly, they are. I was hired to write my experience using these GE Motion Activated Night Lights a few weeks ago and they have turned out to be one of the coolest & most useful gadgets our family has ever had. We have a large staircase/entry way that is really dark at night (I have tripped on these stairs more times than I can count) and over the past 2 weeks, we have needed to go upstairs in the middle of the night. It is so handy to have these lights pop on automatically as we walk by, lighting up the staircase perfectly to see. We also have one by the garage door so when we get home late, it turns on and lights up the room. I never, ever thought I would care about a night light as much as I do, but when they pop on, I am so thankful we have them. Just a minor convenience that helps in a major way. I’m seriously considering buying these for everyone for Christmas presents……..
Alright, time for something a little indulgent. My momma has been telling me for years that I need to wear lipstick as my lips tend to disappear into my face. I wore it for years in my business days and could never find the right shade or one that didn’t crack, bleed or fade, so I gave up wearing any for a long time. Recently, I found the NARS Velvet Matte Lip Pencil and it rocks! It’s smooth and easy to apply, doesn’t bleed and takes a while to fade. I like it because the colors are pretty neutral and it doesn’t feel heavy, yet it stays on for a while. I like the stick too because I can throw it in my purse and apply easily without a mirror. I currently have both the Tortola & Bahama shades – another reason I like them – named after fun travel destinations. I have been a member of Amazon Prime for years (too many to count) and I am kicking myself for not discovering Amazon Prime Music sooner. Access to hundreds of albums on the spot. No commercials, no “two-skips” an hour like other music programs, just type in the artist and bam, there’s the albums and songs. We have been using it for over a month now, streaming it all over the house (Hamilton & Coldplay are still on repeat). It’s another reason to become an Amazon Prime member (the benefits go on for days….) or if you already are a member, check out this cool feature. P.S. They added tons of magazines for free recently too! Disclosure: Some of these items may have an affiliate link with them. Please keep in mind, it’s support from you with these clicks that keeps my coffee brewing all morning so I can keep publishing fun articles like this. Thank you!